Whether you’re an elite athlete or a weekend warrior, Activ-X for Women is designed to provide increased energy while helping you train harder and recover faster after strenuous physical activity. 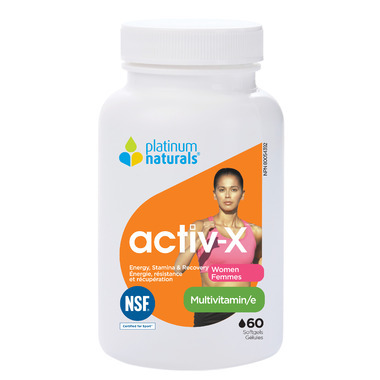 Featuring essential vitamins, minerals, antioxidants, omega oils and adaptogens such as rhodiola and cordyceps, Activ-X for Women suspends its nutrients in omega oils for better absorption. Non-Medicinal Ingredients: Soy Lecithin, Olive Oil, Parsley Seed Oil, Bees Wax. Capsule Ingredients: Gelatin, glycerin, purified water, natural caramel colour. This is an amazing multi-vitamin targeted for women, whether your active or just busy, it provides the essential nutrients all in 2 pills a day that women lack from day-to-day living. So far I feel energized and not tire easily. 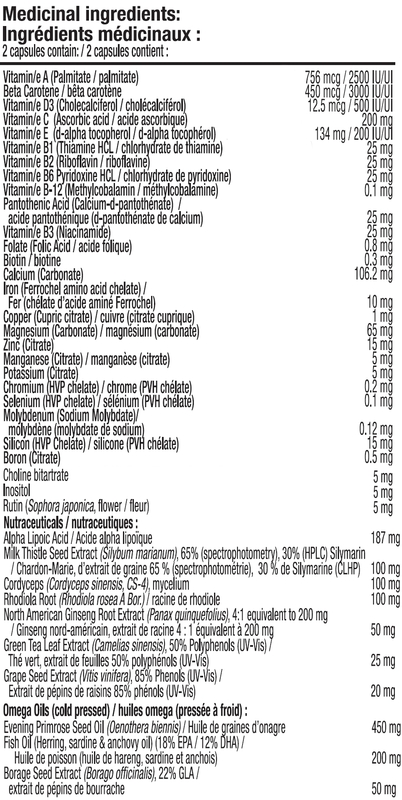 Awesome that I can take my multivitamin and omega 3s and rhodiola in one pill. Makes life a little easier.